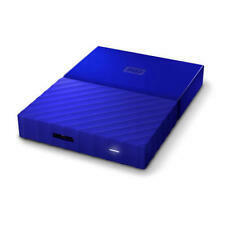 WD Purple 4TB Surveillance Hard Drive 3.5" 6 Gb/s 64 MB Cache W/ Warranty! TRUSTED AND LOVED PORTABLE STORAGE. REIMAGINED DESIGN. Available in an array of vibrant, fun colors, the sleek style fits comfortably in the palm of your hand, so you can easily take your treasured content everywhere you go. When your internal hard drive is almost full your PC slows down. Don’t delete files. Includes the manufacturer's limited warranty of 6 months. Simple, Fast and Portable. - Product has one or more WD labels removed, torn, or tampered. Includes the manufacturer's limited warranty of 6 months. - Product has one or more WD labels removed, torn, or tampered. On your phone, in the cloud, across organizations. New devices, new systems, new solutions, all optimized and tuned to create the right conditions for your data to realize its full potential. WD quality and reliability. USB 3.0 and USB 2.0 compatibility. Item Weight8.2 ounces. Hardware PlatformPC, Mac. Item model number. SeriesWestern Digital. WD 1TB WD10EURX AV-GP Video and Surveillance Drives. Manufacturer Part # WD10EURX. They are optimized with SilkStream™ technology to capture data from up to 12 simultaneous HD video streams. And with 24x7 operation, low temperature, and best-in-class reliability, WD AV-GP hard drives are ideal for DVR/PVR and video surveillance CCTV DVR applications. When your internal hard drive is almost full your PC slows down. Don’t delete files. Simple, Fast and Portable. 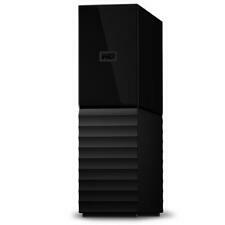 Western Digital 16TB My Book Duo Desktop RAID External Hard Drive Enclosure USB 3.0. WILL NOT WORK WITH ANY BLACK and PURPLE SERIES WD Hard Drives! · Original USB 3.0 Cable. · Original AC Power Adapter. Available in an array of vibrant, fun colors, the sleek style fits comfortably in the palm of your hand, so you can easily take your treasured content everywhere you go. Set it to your schedule. Even great minds like yours can accidentally leave things behind. Its durable construction protects against shock, and USB 3.0 technology facilitates rapid data transfer to keep you working efficiently. 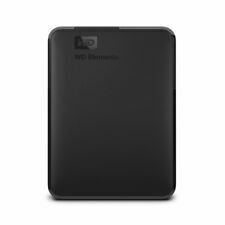 This Western Digital hard drive has a slim design for portability, so you can access your files anywhere. Automatically back up the photos and videos on your phone, and wirelessly back up and sync all your PC and Mac computers and cloud accounts. Includes the manufacturer's limited warranty of 6 months. 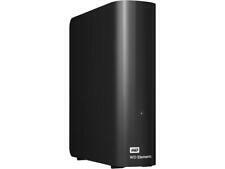 Only at Best Buy Keep data safe on this Western Digital hard drive. 8TB storage capacity. WD Discoverysoftware with WD Backupand WD Drive Utilities. WD Backup software works quietly in the background to help preserve your data using minimal PC resources. · 146mm x 101.6mm x 19mm (or 25.4mm) SATA Drive (Regular 3.5" Desktop Hard Drive). WORKS WITH ANY 3.5" HARD DRIVE (WD, Seagate, Hitachi, Toshiba, Samsung etc.). · Original USB 3.0 Cable. · Original AC Power Adapter. Unless otherwise stated, this has been tested for key functionality. Dell VelociRaptor. 300GB 10,000 RPM 3.5" SATA II Hard Drive. Hard Drives. Transfer Rate SAN Storage. Form Factor 10,000 RPM. MPN: WD10EZEX. Western Digital WD10EZEX-08WN4A0 1TB 64MB Cache 7200rpm 3.5in Internal Hard Drive This item is new as shown. If you're not sure, ask and we'll let you know. The included software makes it easy to automatically back up your files to the drive and to the cloud. WD SmartWare Pro Software. Portable hard drive. Western Digital Blue WD10JPVX 1TB 5400 RPM 8MB Cache SATA 6.0Gb/s 2.5" Internal Notebook Hard Drive. 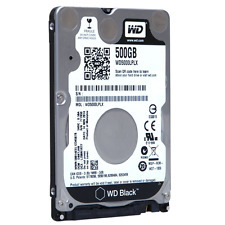 WD WD10JPVX 1TB HDD. Speed: 5400RPM. Capacity: 1TB. Interface: SATA 6 Gb/s. In a notebook drive, silence is golden. 128GB storage capacity For PC, Mac and Linux USB 3.0 interface. 128GB storage capacity. For a fast connection. USB Generation: USB 3.0. USB 3.0 interface. Connector Type(s): USB Type A. Allows easy connection without having to reboot. Trusted drive built with WD reliability. Auto backup with included WD Backup software. USB 3.0 port; USB 2.0 compatible. SYSTEM COMPATIBILITY: Windows 10, Windows 8, Windows 7. Trending at $95.99eBay determines this price through a machine learned model of the product's sale prices within the last 90 days. Part Number WD3000BLFS. Rotational Speed 10K rpm. Interface SATA. Manufacturer WESTERN DIGITAL. BLUE - ( WDBYFT0040BBL-WESN ). 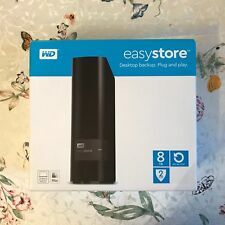 Top Quality Western Digital. Capacity 2TB. Interface SATA. Manufacturer WESTERN DIGITAL. Form Factor Internal. Product Type/ Hard Drive. Compatible Drive Bay Width 3.5". Rotational Speed 7.2K. Spare Numbers. Brand new removed from original enclosure. Still holds factory western digital software. Buy with confidence as you are covered with 30 day returns on any defective drives. 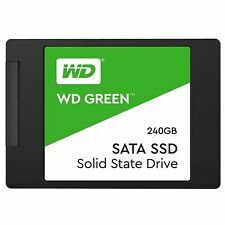 Western Digital WD60EDAZ 6TB SATA 3.5” PC Hard Drive ZERO HOURS. Shipped with USPS Priority Mail. SATA 6.0Gb/s. Length (maximum). Width (maximum). Height (maximum). Form Factor. Trending at $20.27eBay determines this price through a machine learned model of the product's sale prices within the last 90 days. 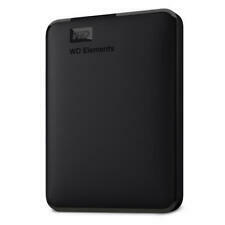 WD My Book 2TB External Hard Drive Storage USB 3.0 File Backup and Storage. 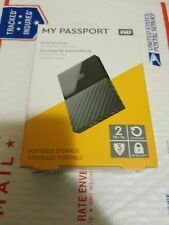 Western Digital 2TB MY BOOK External Hard Drive. 2TB storage capacity. Lets you take your data on the go. For flexible installation options. WORKING CONDITION. Item ID: S37460. VERY GOOD CONDITION. New with 1 Year Warranty, Sealed in Bag, Free Shipping! Hard Drive Type NAS. Buffer Size 64MB. Say goodbye to storage woes forever with the Western Digital Red 3 TB Internal Hard Disk Drive. Designed and tested for compatibility even when working around the clock, it is suited for IT professionals and heavy users that rarely shut down their systems. WD My Book 3.5" USB 3.0 Enclosure. WD My Book Enclosure. (Enclosure for sale only, No Hard Drive inside). USB 3.0 cable. USB 3.0 and 2.0 Compatible. Power adapter. Check Here for Quantity 20 Pricing.